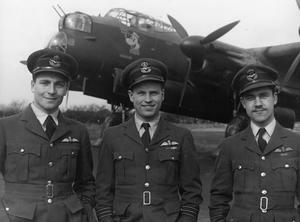 Wing Commander G P Gibson (centre), Officer Commanding No. 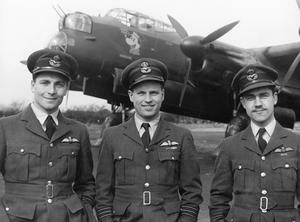 106 Squadron RAF, standing with his two Flight Commanders, Squadron Leader J H Searby (left) and Squadron Leader P Ward-Hunt, at Syerston, Nottinghamshire, on the completion of Gibson's tour of operations with the Squadron. 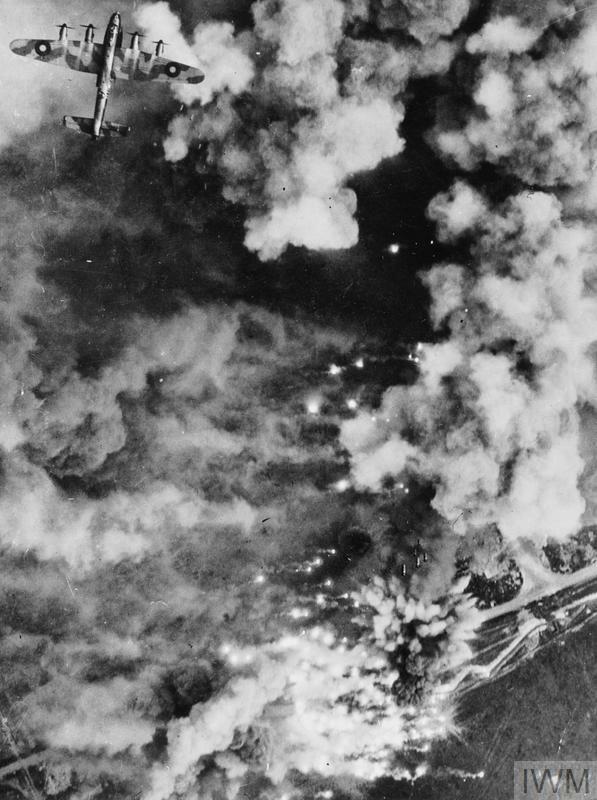 Searby took over command of 106 Squadron while Gibson was posted on 21 March 1943 to command the newly-formed No. 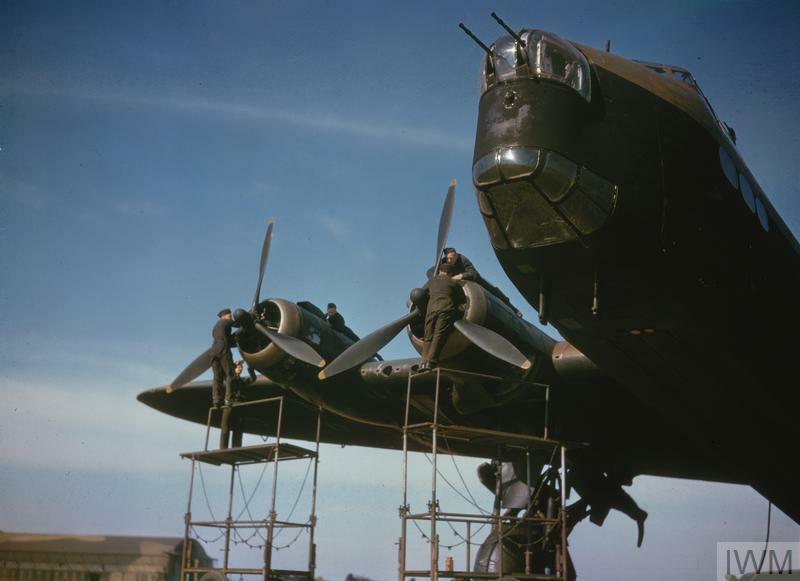 617 Squadron RAF at Scampton, Lincolnshire. 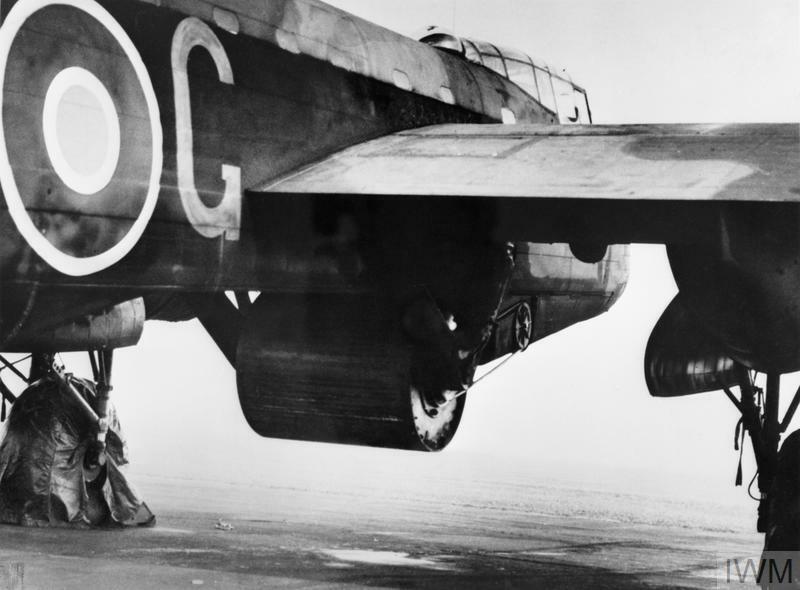 Behind them stands Gibson's Avro Lancaster B Mark I, ED593 'ZN-Y' "Admiral Prune II". Wing Commander Guy Gibson (centre), CO of No. 106 Squadron RAF, with his two Flight Commanders, Squadron Leader J H Searby (left) and Squadron Leader P Ward-Hunt, at Syerston, on the completion of Gibson's tour of operations, March 1943.